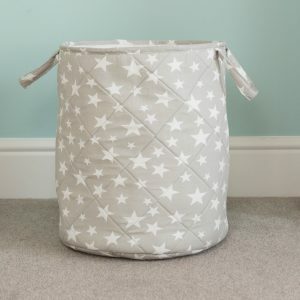 This large Out and About carry tote bag in our exclusive grey star fabric isn’t just incredibly useful, it looks super stylish too! 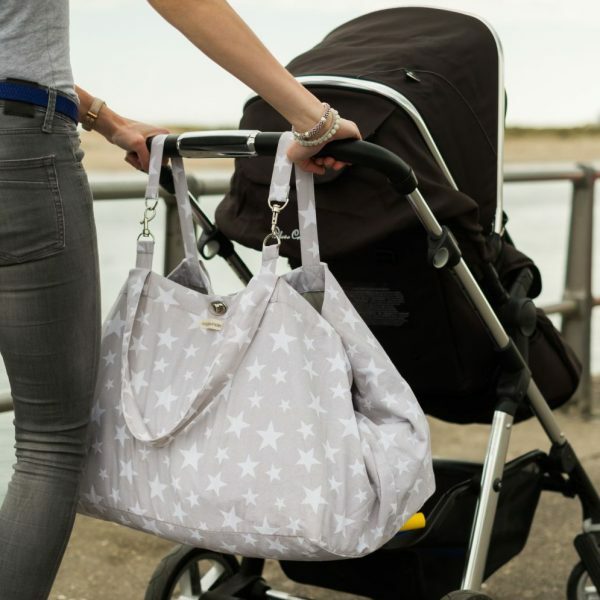 Perfect for busy mums who are Out and About with their Kiddiewinkles, the innovative design of this bag allows you to tailor its size to you and your family’s needs. 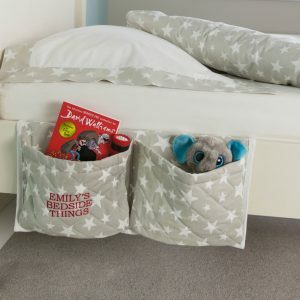 From extra coats and jumpers to buckets and spades, or swimming kits to favourite toys, the list of uses is endless and you’ll soon wonder how you EVER got by without it! 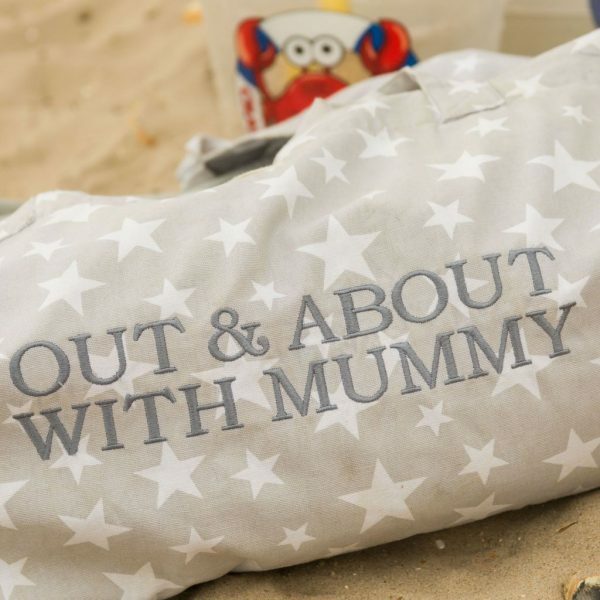 It’s clear to see that this bag was designed BY parents, FOR parents. 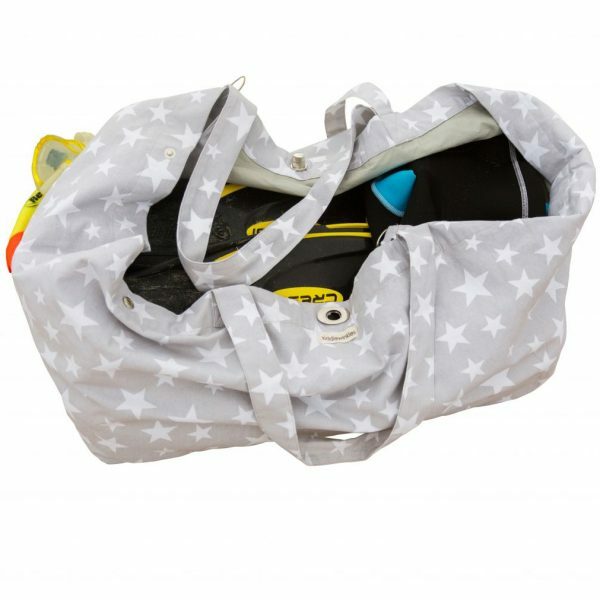 There are pop studs at the end of each side, making it easy to decrease the size of the bag on those (lovely) days that you don’t need to take advantage of its full capacity! 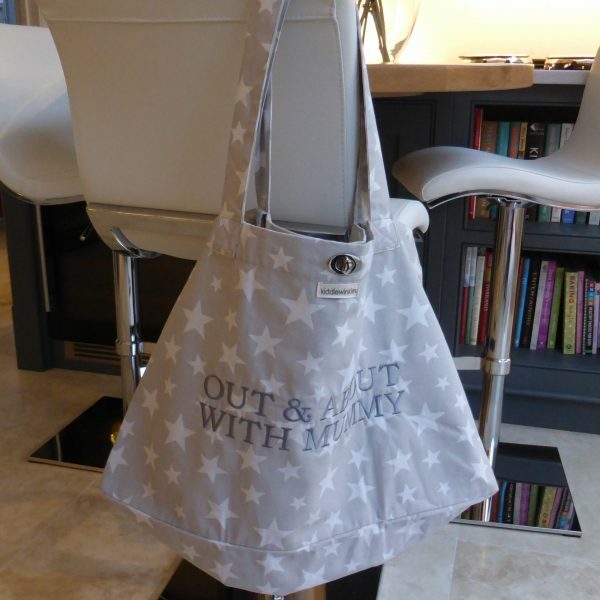 Every Out and About bag has two shoulder handles AND two shorter handles so you can adapt this bag with every use! 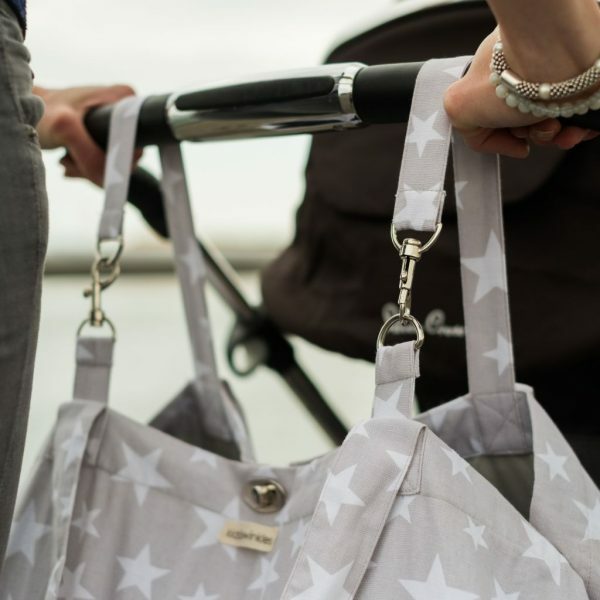 And thanks to a strong clip style closure, it’s easy to attach it to prams, trolleys or even your suitcase. 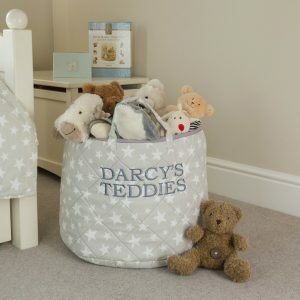 They make a lovely gift for Mums, Mums to be, Grandmas or a lovely treat for yourself! Twin handle for hand or shoulder carrying. Short handle can attach to prams, trolleys or suitcases! 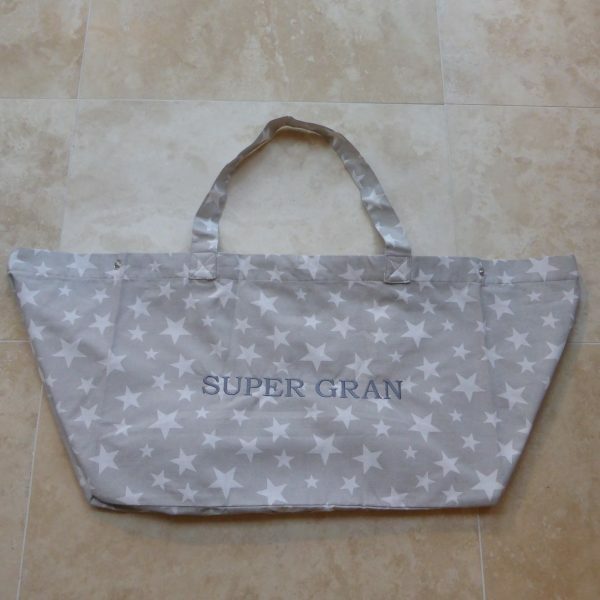 Non-personalised bags are dispatched on a 2 day courier service. 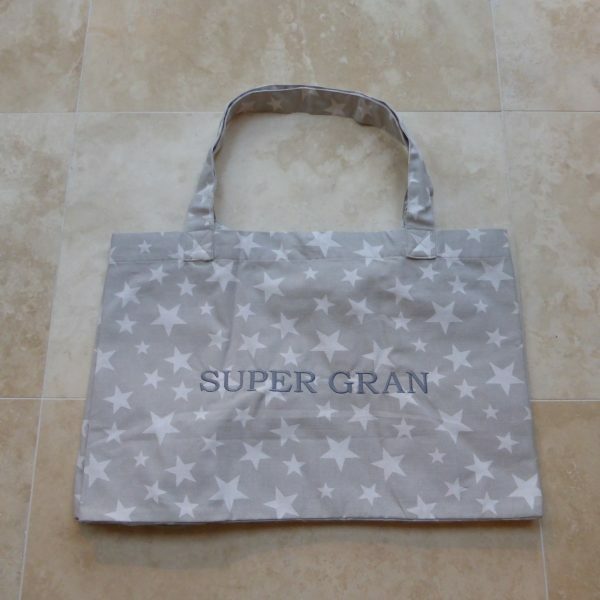 We typically turn personalised bags around within 2-5 working days. 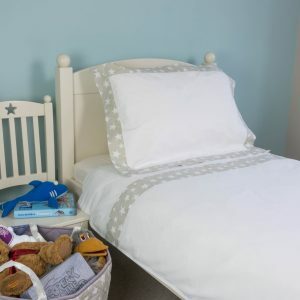 If you have a date you need the item for please let us know and we will do our best to get it to you in time.